The IMPALA project is tackling a major scientific hurdle that limits decision-makers from using climate information: current climate models have only a modest ability to capture African climate systems. 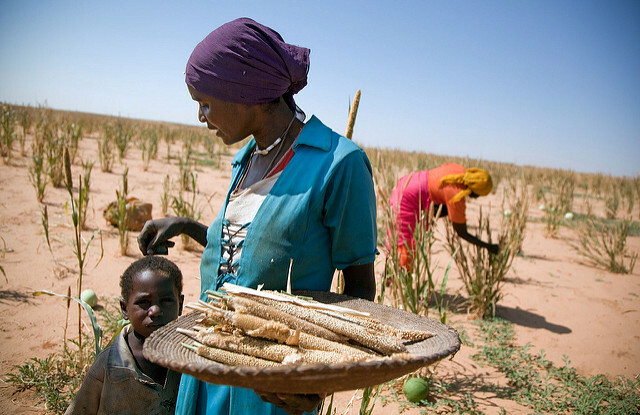 Because of this, there is large uncertainty and low scientific confidence in important aspects of the projections for Africa’s climate in the next 5–40 years. IMPALA feeds into the FCFA regional pilot projects through its pan-African scale work on improving knowledge and modelling of African climate. 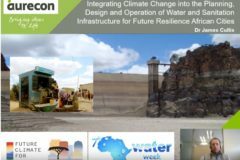 The project focuses on a single climate model, the Met Office Unified Model, to improve its simulation of African climate through a better understanding and representation of weather and climate processes. 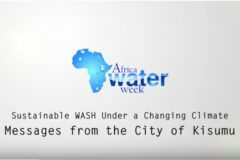 This will result in reduced uncertainty in future projections of the African climate and provide valuable information to climate scientists and modellers within Africa and worldwide, and empower decision-makers with information that can be used to reduce risks and help protect the livelihoods of the most vulnerable. The initiative aims to deliver a step change in global climate model capability that will reduce uncertainty and enable better-informed evaluation of the robustness of future projections. The IMPALA project has developed a very high-resolution pan-African climate model (grid-spacing of around 4km), the first of its kind, that better captures key processes and local-scale weather phenomena including extremes, and provides new understanding of the roles played by these processes in African climate variability and change. The model is called CP4-Africa. 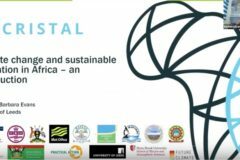 The improved knowledge and new simulations are being used by scientists in the four regional research projects (AMMA-2050, FRACTAL, HyCRISTAL and UMFULA) . This, in turn, will deliver more reliable information for decision-makers and scientists in a range of sectors including agriculture, urban and rural water resources, health and infrastructure management and renewable energy. Catherine leads a team of around 20 scientists, at the Met Office, working on understanding climate processes, feedbacks and uncertainty. Catherine joined the Met Office in 1986 after completing a degree in Mathematics at the University of Leeds. She has worked for her entire career on understanding climate processes and feedbacks, with a notable focus on cloud feedbacks and model development and evaluation. In 1997 she became the Manager of Climate sensitivity and then in 2003 the Head of Understanding Climate Change. Richard leads the Monthly to Decadal Applications group, developing practical climate prediction products that can be readily used to inform planning and policy. This is done by distilling complex information from climate models and other sources into informative ‘user-friendly’ formats. Richard’s main research interest is working with Climate Centres in Africa to better understand and predict African rainy seasons and near-term (next 10 years) climate change, and working with the WMO to strengthen international collaboration in long-range forecasting. Richard has a Ph.D. in meteorology from Edinburgh University. Babatunde is a lecturer at the University of Cape Town. His research interest is in development, evaluation, and application of dynamic atmospheric models focusing on a model that has capability for horizontal grid adaptation (called CAM-EULAG). He evaluates atmospheric models and uses them to study atmospheric systems that induce extreme events in Africa. He also applies these models for predicting seasonal climates, projecting future climates under different emission scenarios, and understanding potential impacts of land-cover changes on regional climates. Matthew’s research interests lie within the areas of climate modelling, climate variability and change, quantifying uncertainty in climate projections, dynamics of the El Nino Southern Oscillation and the dynamics of the Indian monsoon as well as with the quantification of uncertainty in climate projections using ensembles of climate models. He led a group in the Met Office that produced ensembles and implemented an algorithm for producing probabilistic projections of climate change. Matthew is a Research Fellow within Exeter Climate Systems. His work for IMPALA involves evaluating large-scale controls on African climate with a specific focus on the global sources of regional bias in climate models, such as the global energy budget and regional/global SST biases. His Ph.D. focussed on the mid-latitude storm tracks and he continues to take an interest in this area. Prior to his PhD, he worked as a research assistant at the University of Oxford, researching climate change and food security in Africa. Linda is a Research Scientist in the National Centre for Atmospheric Science (NCAS)-Climate based in the Walker Institute within the Department of Meteorology. Linda’s research interests lie in the drivers of climate variability and change in Africa, the role of air-sea interactions in sub-seasonal climate variability, tropical convection systems, monsoon systems and climate services for Society. Linda holds a Masters degree in Mathematics from the University of East Anglia and a Ph.D. in Meteorology which focused on Tropical Dynamics from the University of Reading. Lawrence is a Research Fellow with the Leeds University’s School of Earth and Environment. Lawrence worked as an actuary in the life & pensions industry from 1987 to 2006. In 2006 he returned to university to study environmental science at the University of York before moving to the University of Leeds in 2007. Lawrence has a BSc. in Mathematics from the University of Southampton, an MSc. Environmental Science and Management from the University of York, and a Ph.D. in Understanding Diurnal Temperature Range Changes from the University of Leeds. Ben is a researcher at the The National Center for Atmospheric Research, part of the The University Corporation for Atmospheric Research which provides research, observing and computing facilities, and a variety of services for the atmospheric and related Earth sciences community. Ben has been working with the Weather Research and Forecasting (WRF) model, the Community Land Model (CLM) as well as using datasets (both remotely sensed and in situ) for various analyses particularly over West Africa. Sean leads the Global Model Evaluation and Diagnostics section at the Met Office, developing the Global Atmosphere configurations of the Unified Model across all timescales. Sean focuses on i) diagnosing global model systematic errors and performance against observations ii) coordinating the trialling and pull through of improvements in model physics, dynamics, and resolution iii) developing new diagnostic techniques to understand the source of model systematic error growth iv) promoting development of the global NWP model. Joseph is a lecturer at the University of Nairobi in the meteorology Department where he obtained his BSc, MSc and a Ph.D. His research interests lie in Weather and climate dynamics and physical modelling for weather and climate prediction deterministic models, global climate models, downscaling by dynamical and MOS schemes, development of multimodel ensemble developments for climate forecasts and change as well as applications to assessments and long-term sustainability of water resources and rain-fed food production in various parts of Kenya and Eastern Africa. 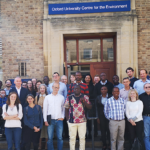 Doug is a lecturer in the School of Earth and Environment at Leeds University where he leads a strong research group studying climate dynamics of Africa, with a track record of collaborative work in the region. His research focuses on the physics and dynamics of weather systems, and their interaction with regional climate systems. Douglas holds an M.A. degree in Mathematics from the University of Cambridge and a Ph.D. in Meteorology from the University of Reading. Rachel is a senior scientist working on convection, she is the convection scheme code owner and works on improving the convective parameterization scheme in the Unified Model. Rachel started at the Met Office in 1985, working for 5 years on ocean wave modelling, she then moved to the Met Office Hadley Centre in 1991 spending the first 2 years building the Unified Model and then focussing on Climate Model Evaluation and Development. Rachel holds a D.Phil in theoretical nuclear physics from Oxford University. Thierry is a Ph.D. student at the Laboratory of Environmental Modelling and Atmospheric Physics (University of Yaounde). His work is on the assessment of precipitation bias in UM over Central Africa. The work focuses on an assessment of the contribution of both local and large-scale circulation on precipitation biases in UM. It has been established that large-scale circulation also contributes remotely to regional precipitation variability over the region. The principal lead of AMMA-2050, Chris is interested in how the properties of the land surface: soil moisture and vegetation cover, influence weather and climate. His work has been motivated by the need to understand the climate of semi-arid regions in West Africa. For IMPALA, Chris aims to deliver an Afro-centric development of aspects of the Met Office Unified Model and improve aspects of the land surface model JULES in its simulation of surface energy and water fluxes over typical African landscapes. Lorenzo works on the interaction between moist convection and the atmospheric circulation in the tropics. He is a member of the Global Model Evaluation and Development group at the UK Met Office. Prior to joining the Met Office he held a position as a scientist at the Max Planck Institute for Meteorology in Hamburg, Germany. Lorenzo obtained his Ph.D. from the Swiss Federal Institute of Technology in Zurich (ETHZ), Switzerland. Giresse is a Ph.D. student at the University of Yaounde Cameroon. Understanding drivers of convection in Central Africa marks his current research activities. This research deals with better understanding of AEJ component dynamic, their links with regional mid-tropospheric circulation “highs, divergent centers” and diabatic heating. 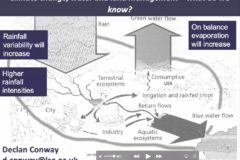 Andrew is a former NERC Fellow and now Lecturer in Monsoon Systems funded by the University of Reading’s Academic Investment Programme and NCAS-Climate. His general interests are in monsoon variability, predictability and prediction including the interaction between monsoon systems and other elements of the climate system. Andrew holds a Masters degree in Physics from Oxford University and a Ph.D. in Meteorology from the University of Reading. Michael works on making monthly-to-decadal forecasts over Africa better geared towards users and on the irreversible change in the meridional overturning circulation. His research focuses on multi-year changes of rainfall over the Sahel. His work aims to improve understanding of why many climate models fail to reproduce the magnitude of multi-year rainfall changes that have been observed over the Sahel in the 20th century. 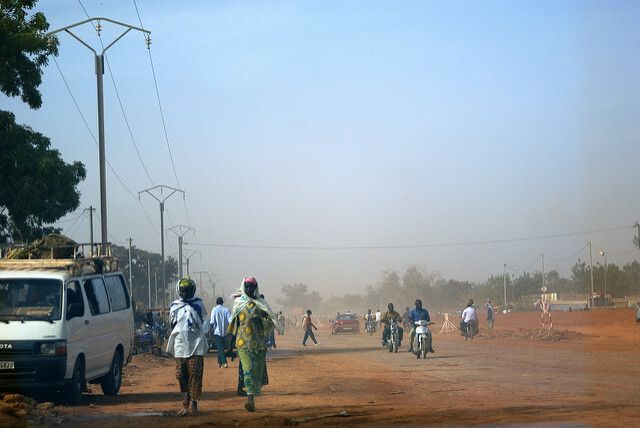 Increased understanding of model shortcomings will help to improve the climate models and increase confidence in forecasts of future climate change over the Sahel. Steven is a Principal Research Fellow in NCAS-Climate and Head of the NCAS-Climate Tropical Group. His research interests are in tropical climate variability, tropical convection and sub-seasonal to seasonal prediction. Current research is on the transitions between suppressed and active convection coupled to large-scale tropical circulations using novel approaches for parametrizing the large-scale dynamics and seasonal to decadal prediction for the improvement of European climate services. Keith is head of the Atmospheric Processes and Parametrizations group. The group is responsible for the representation of physical processes in the Met Office Unified Model, including how we represent the atmospheric boundary layer, clouds and cloud-aerosol microphysics, radiative transfer in the atmosphere, moist atmospheric convection, orographic processes and land surface processes. He is also co-chair of the World Meteorological Organization’s Working Group on Numerical Experimentation (WGNE). Release a new version of the global MetUM including upgrades that improve Africa performance – as informed by IMPALA research. Evaluate the new MetUM version over Africa and assess improvements relative to the pre-IMPALA baseline. 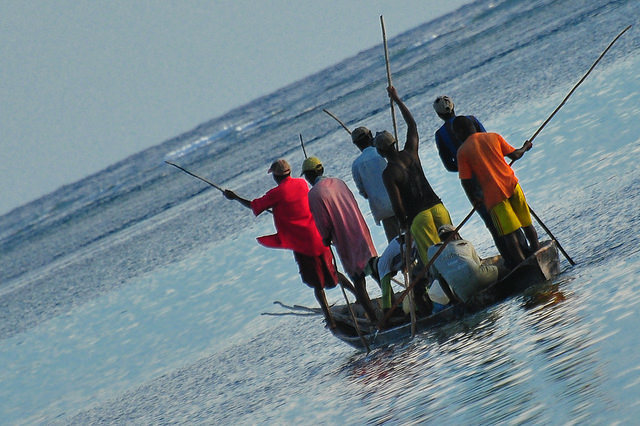 Advance the development of an Africa model evaluation Hub – coordinating efforts on model evaluation for African climate processes and assisting to accelerate model improvements.